Objective(s): (1) Explain how biomes are characterized; (2) describe how net primary production varies among biomes; (3) explain how organisms are adapted to the conditions of their biomes. 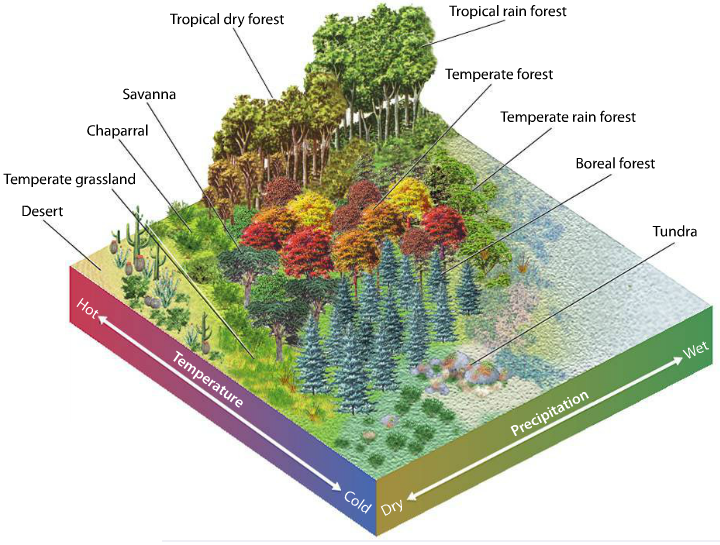 Essential Question: What conditions and organisms characterize the world's biomes? Objective(s): (1) Describe the criteria ecologists use to classify aquatic ecosystems; (2) List the major categories of freshwater ecosystems; (3) Explain the ecological importance of estuaries; (4) List the three major zones of the ocean. Essential Question: What conditions and organisms characterize the world's aquatic ecosystems? 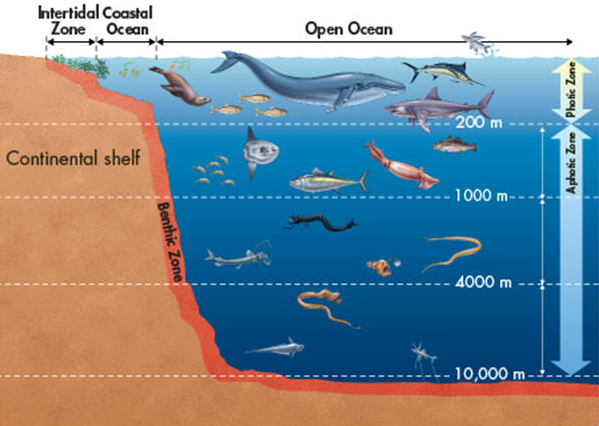 Vocabulary: salinity, photic zone, aphotic zone, benthic zone, estuary.